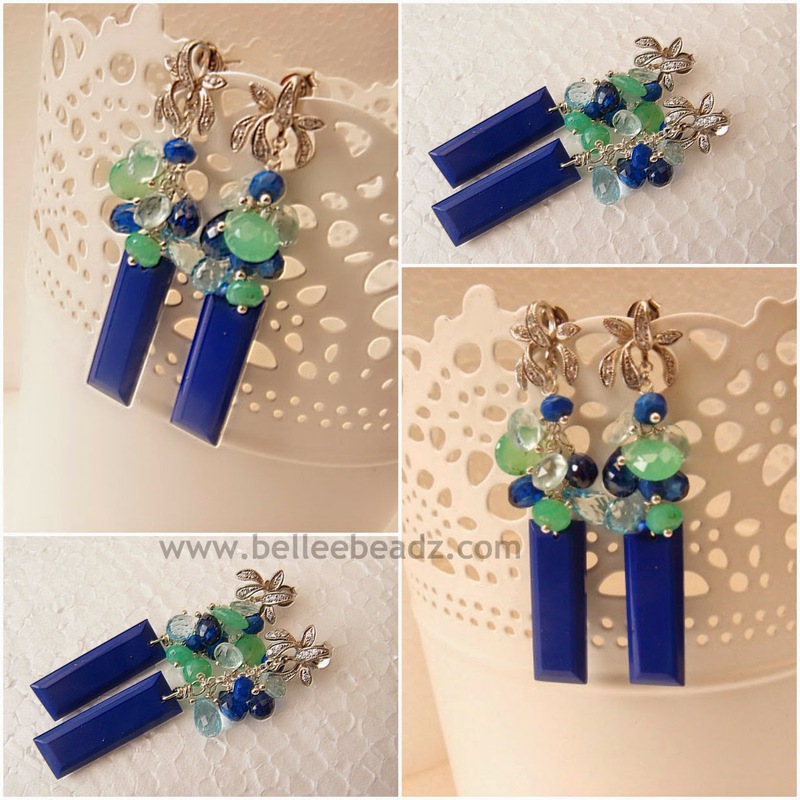 Taking a break from some custom pieces, this is a cool set of earrings featuring deep blue (probably heat treated to enhance the colour but definitely colour fast) lapis baguettes measuring 24mm x 8mm and I've toned down these stunners with an array of brios and a couple of rondells. Embellishments include London blue topaz, lapis, chrysoprase and deep blue sapphires. These measure 53mm from post to base of baguettes.